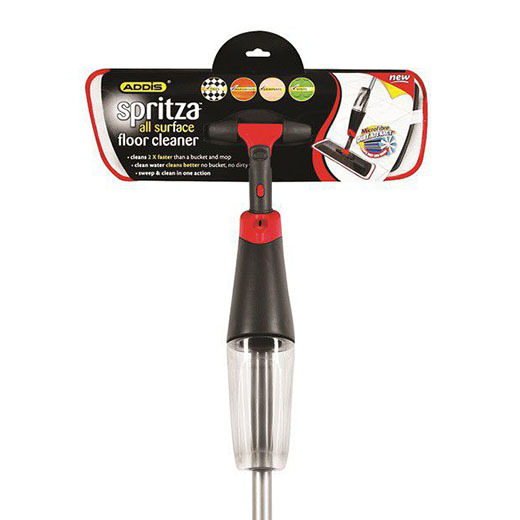 With the Spritza Floor Cleaner, you can jut spray and clean your floors quickly and easily in one easy step. The microfibre pad traps and lifts dust, dirt and grime leaving your floors cleans and spot free. The integrated water bottle comes with a trigger on the handle so that you can spray the floor as you mop. Cleans faster than a regular mop and bucket and saves water. Suitable for hard wood, laminate, tiled and vinyl floors.